Hale Dwoskin is the New York Times best-selling author of "The Sedona Method," and is featured in the movie, "Letting Go." He is the founder of Sedona Training Associates, an organization that teaches courses based on the emotional releasing techniques inspired by his mentor, Lester Levenson. 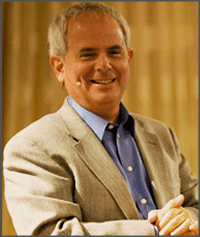 Hale is an international speaker and featured faculty member at Esalen and the Omega Institute. He is also one of the 24 featured teachers of the book and movie phenomenon, “The Secret,” as well as a founding member of The Transformational Leadership Council. For over three decades, he has regularly been teaching "The Sedona Method" to individuals and corporations throughout the United States and the United Kingdom, and has been leading coach trainings and advanced retreats since the early 1990s. He is also the co-author with Lester Levenson of "Happiness Is Free: And It’s Easier Than You Think!" (a five-book series). 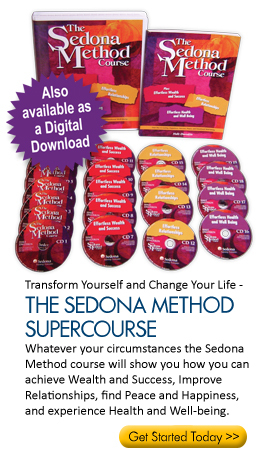 Here is Hale’s Story, excerpted from The Sedona Method: Your Key to Lasting Happiness, Success, Peace and Emotional Well-being, Sedona Press September 2003. Much of what I heard and experienced only added to my questioning. No one seemed to have truly satisfying answers or to have truly satisfied themselves about their true nature. There was also a strong, almost universal belief that growing was hard work that required baring your soul and reliving painful, unresolved issues. That all changed during my very fortunate encounter with this remarkable man. I met Lester at a seminar led by a well-known speaker that Lester was attending as the leader’s guest. That day, a group of us went out to lunch together. Lester’s presence immediately struck me as unique. He was in total peace and equal-mindedness, very comfortable with himself. He was unassuming and easy to talk to and treated everyone as his friend—even me, a complete stranger. It was obvious that he’d ended his search by discovering the answers I’d been seeking. I knew I had to find out more. When I asked Lester what he did, he invited me to a seminar that was being held the next weekend. All he would tell me was that “a group of people is going to sit around a table and release.” I wasn’t sure what releasing meant, but I knew if it could even point me in the direction of the qualities of which Lester was the living embodiment, I definitely wanted it. I took a leap of faith and signed up on the spot. That weekend I was in essentially the same position you’re in right now. I was about to embark on a journey for which I felt a little bit of trepidation. I wasn’t sure exactly with what I was getting involved, and, since I had done so many seminars, I also had a healthy degree of skepticism. I found myself wondering, “Oh my God, is this going to be another one of those disappointments along the way?” As the course unfolded, however, I watched myself and other people in the class shedding long-held beliefs and limitations with amazing ease and speed, yet without having to relive or explain their life stories. Almost overnight, I knew that I’d found what I was looking for. In fact, deep inside, I knew that this process of releasing was what I had been born to do and share with the world—and to this day I have never wavered. In the past 26 years, I’ve watched thousands of other people change their lives, radically yet gently, for the better just by learning one elegantly simple, yet powerful technique. From the beginning, my relationship with Lester felt like being with a good friend. I was immediately so drawn by him and his teaching that I rapidly took all three of the courses he offered: the Basic Course in November, the Advanced Course in January, and the Instructors Training in February. I was in a rush to learn everything I could. I also started working with Lester on sharing his teachings with the world. Our meetings were always a little comical, and sometimes frustrating to me, because I always thought it was important to discuss the truth, whereas Lester would invariably steer the conversation to as mundane a topic as possible. Nonetheless, every time we were together, my understanding and direct experience of truth would deepen—even if we never spoke about it. He was a living example rather than a pontificator. This helped me discover the opportunity to release and experience greater freedom in every moment, a practice that stays with me to this day. I was so engaged that I even started holding support groups for people using the Sedona Method in the living room of my Upper West Side apartment. But it wasn’t long before I realized that I needed to mature and grow personally before I could be of much use to Lester and his budding organization. I decided to support him as a volunteer and active participant instead of as an employee while continuing to explore in different ways how releasing would affect my everyday life. Soon after that, I started my own business selling jewelry. The success of this venture afforded me the opportunity to work part-time while exploring life and my releasing full-time. I continued this venture and my more casual involvement with Lester until around 1981. As I worked with the Method in my business and personal life, I became ever more convinced that I’d found a technique that could help anyone. In the late ‘70s Lester moved out to Arizona. Except through his teachings, my contact with Lester during this period was occasional, but it continued to influence me profoundly. Then, in 1981, I was invited to fly to Phoenix to participate again in an Instructors Training. This seminar began a new phase of our relationship. It also rekindled my desire to work closely with Lester on sharing the Method with the world. I started leading workshops for Sedona Method graduates on a regular basis in New York City and flew to Arizona several times a year for more training and to participate in weeklong or longer retreats called Intensives. Leading the workshops and participating in the Trainings and Intensives greatly accelerated my personal use of the Method. I noticed profound results in myself and in friends who were also participating. During this same period, I decided to participate more actively, full-time, in the world of business. I briefly worked for my father selling industrial real estate in and around New York City, but I didn’t feel the job suited me. Then I joined a firm in Manhattan that sold co-ops and condominiums. I was quickly able to use the Method to support my sales ability and became one of their top salespeople. For a while I enjoyed doing this, but then an opportunity presented itself to join my brother in establishing an investment division back in my father’s real estate firm. I happily made the transition to selling office buildings, shopping centers, and other real estate investments. For the first time in our lives, my brother and I became friends. I was able to release the old baggage that I had been carrying around about our earlier relationship, and we became a terrific business team. We were having a recurring problem, however, of starting many more deals than we were actually closing. Then, one day out of the blue, Lester called me up to see how I was doing. I explained what was happening. He said one sentence that totally turned around our closing ratio and the rest of my business career. He simply said, “Bank in the bank, not in your head.” Without me saying anything about it, he had picked up on a tendency that I and most other people in the sales profession have, which is “head banking.” I was so busy imagining how great it was going to be when I closed each deal that I was neglecting actually closing them. As soon as I started releasing instead of fantasizing, we started to close a lot more deals. Another important lesson about letting go was learned when I received a listing for nine shopping centers from what was affectionately known in the industry then as a Xerox broker. A Xerox broker is someone who gets written listings on properties from other brokers, then copies and sends them to other brokers and principals without ever bothering to check the facts or get in contact with the actual owner or listing agent. I sent a copy of the listing to one of my better customers, and he shot me back an immediate, almost full-priced offer. Of course I was excited, so I picked up the phone to call the man I thought was the principal, only to discover that the listing had come from a Xerox broker with no way of contacting the true owner. Distraught, I realized that there was nothing I could do but let go. So I did. I cleared my mind and released all my feelings about the situation until I reached the point where it was okay whether or not I ever made the deal. The very next phone call in our office was from the actual principal of the shopping centers, responding to an ad looking for properties that we just happened to have running in the Wall Street Journal. When he offered us the listing on the very same property, I nearly fell over. I also got to practice using the Method right while closing deals, sometimes when people were renegotiating multimillion dollar contracts and trying to cheat me or each other by making up a whole new story of what we’d agreed on, instead of simply signing the papers and exchanging checks. These were tense occasions, as a lot of money was at stake. Nonetheless, because I was releasing, I knew when to be quiet—which is very difficult for a broker. I also knew when to stand up for what was correct. The financial rewards were beyond my expectations. By early 1987, I’d saved enough money to move to Arizona to rejoin Lester and support him in sharing his wonderful technique with the world. Much to the consternation of my brother and father, I relocated to Phoenix and became a full-time volunteer for his non-profit organization, the Sedona Institute, doing whatever was needed to get the word out. I spent most of the remaining years of Lester’s life working closely with him on his mission, almost entirely without monetary compensation. The reason I didn’t mind working for free was that I could see how much good I was doing, and how much I was personally changing for the better. In 1989, Lester asked me to move to Sedona to help him sell some of the organization’s real estate holdings to graduates in order to raise money. It was there that I met my wife Amy. I saw her in a karate class and immediately recognized who she was to me, so the next day I asked her out. She was dating another man at the time, however, and asked for my card in case her situation changed. A few months later, I got a call from her and we went out on a date. That was a Wednesday. By that Saturday she was taking the Sedona Method Course. Today, Amy and I have a beautiful, loving relationship, but it wasn’t always that way. It was tough in the beginning. Honestly, Amy was interested in other men at the time we met, so I had to do a lot of releasing for her finally to pick me. Once we married, we still had our disagreements—which of course still happens, that’s only natural. But because we both use the Sedona Method, when something happens that causes an upset, we let it go. From my perspective, our relationship is very unusual in that it just keeps getting better and more loving. By the early ‘90s, my relationship with Lester had grown to a place of such mutual trust and respect that he decided to turn over the copyrights of his teachings to me and asked me to continue his work. I maintained the organization that he’d established towards this end until two years after his death. 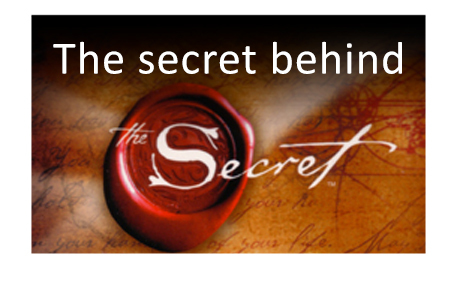 Then, in 1996, I decided it would be much more effective for Amy and me to start a new company, Sedona Training Associates, to convey the Method to the world in an even bigger way. One of the things that impresses me most about the process of releasing is that it has resulted in a sense of unshakable peace, happiness, joy, and calmness that is always with me, no matter what’s going on around me. Not that there still aren’t ups and downs, but, as Lester used to say, this is really the “bottoms-up method.” I know from my own direct experience that what I used to think was a peak experience, or something really terrific, is now normal, and my peaks just keeping getting higher and higher. I have no idea how far “up” is, and I’m looking forward to finding out.